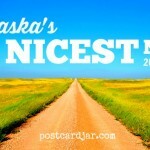 We’d been on the road for several days, now, and while Valentine marked the turn toward home on our Nebraska adventure with my folks, we were far from done with our trip. We set out from Valentine, our sights set on the Ashfall Fossil Beds, and made it east of town a whole three blocks before I noticed the low tire pressure light was on. So, I pulled a quick U turn while thanking the Lord we were still within three blocks of a town, and drove back into Valentine. 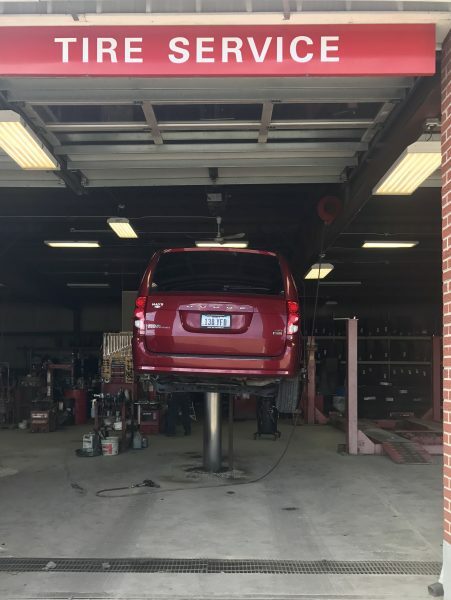 We went straight to the Pit Stall tire shop where they could help us right away. 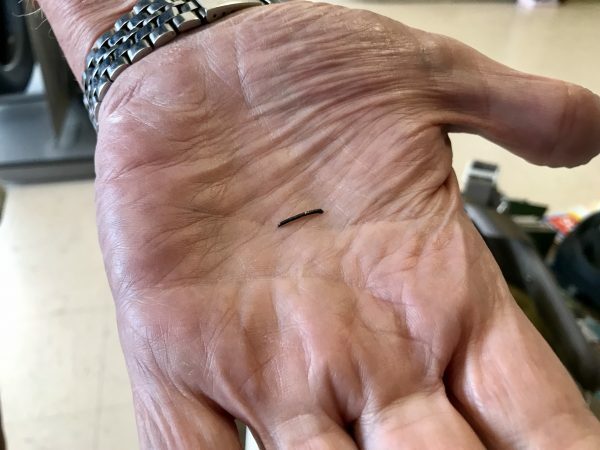 This tiny piece of metal almost ruined our day. The drive east from Valentine on Highway 20 is just as beautiful as the drive into Valentine we’d enjoyed a couple of days before. Just know that if you drive through this part of the country you won’t be disappointed in the views and vistas you have. I’m honestly surprised more people don’t come this way. 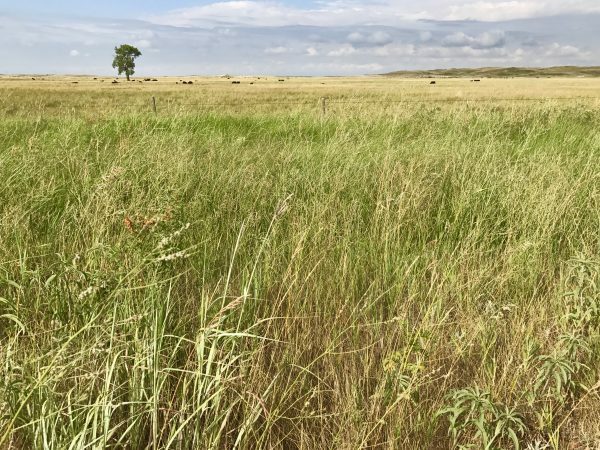 The beautiful Nebraska Sandhills near Valentine, Nebraska. 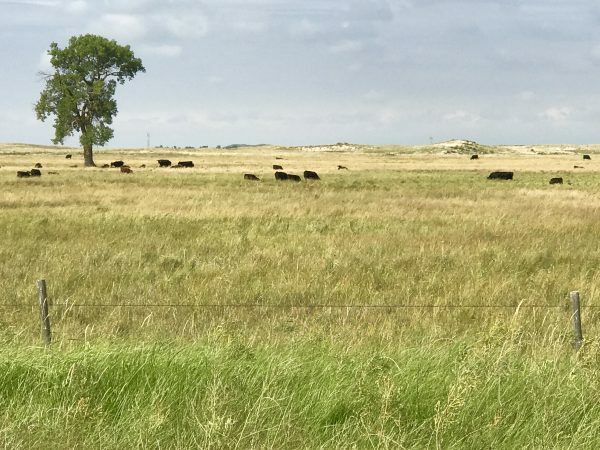 Cattle grazing in the Sandhills near Valentine, Nebraska. Ashfall Fossil Beds is one of our favorite Nebraska parks, and a place we try to go every year. We wrote a more detailed post about the park a couple of years ago, and you can read that HERE. 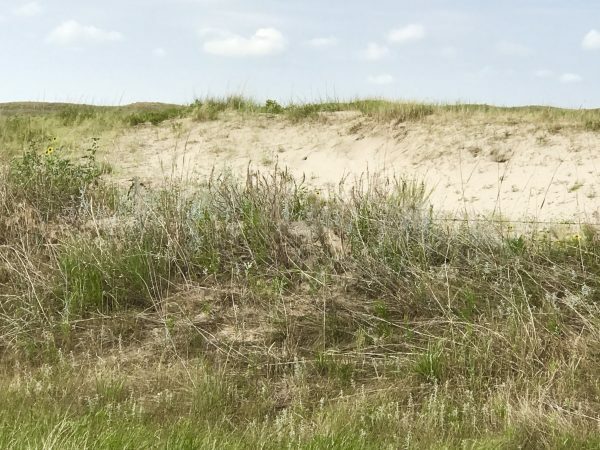 We decided to have our picnic lunch at under a shelter overlooking the beautiful Sandhills at Ashfall before taking the short path down to the excavation site. 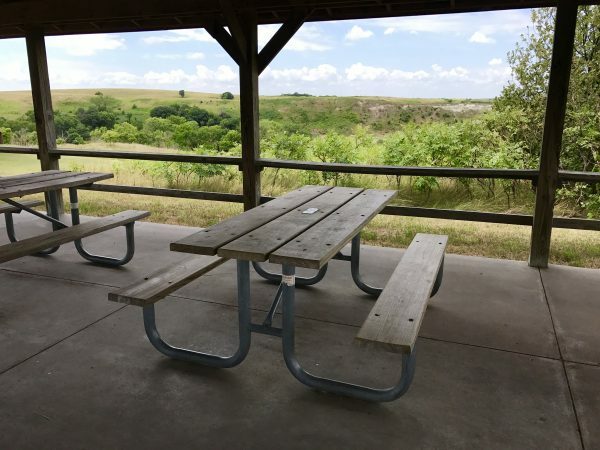 What a great place for a picnic lunch at Ashfall Fossil Beds near Royal, Nebraska. 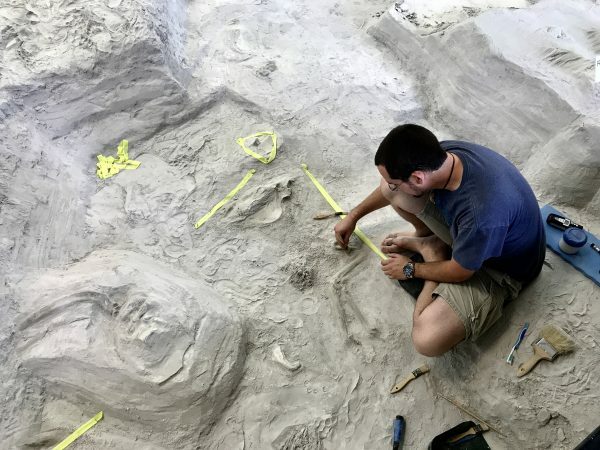 One of the things we love most about Ashfall is that we get to talk to the interns who are actively excavating the site and ask them questions. An archeology student intern brushes away sediment on the floor of the fossil bed at Ashfall near Royal, Nebraska. Each of them can explain what is going on across the whole site. More fun, though, is hearing their enthusiasm as they share their current project and talk about the discoveries they’ve made. We also like that we can see the progress on the excavation from year to year. Last year, for instance, we talked at length to a woman who was very excited about the skull she’d discovered. When we returned this year, that skull was now a part of a very complete 3-toed horse that had been completely covered the year before. 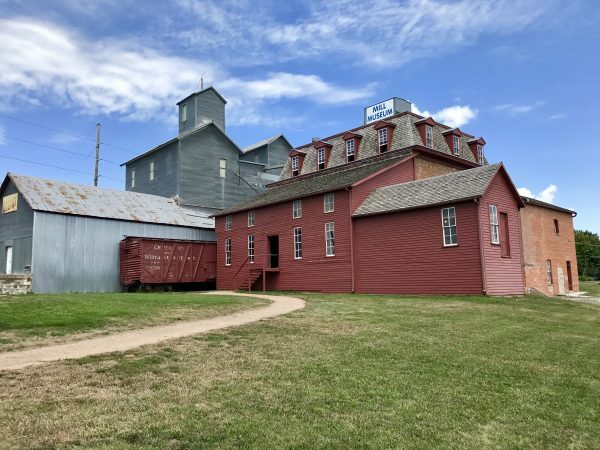 For years, Ann and I have talked about stopping to visit the historic mill in Neligh, though we have never been able to fit it into our schedule. This year we really wanted to make it happen, so we made the 30 minute drive over from Ashfall on our way to Norfolk. The mill in Neligh is definitely worth a stop. 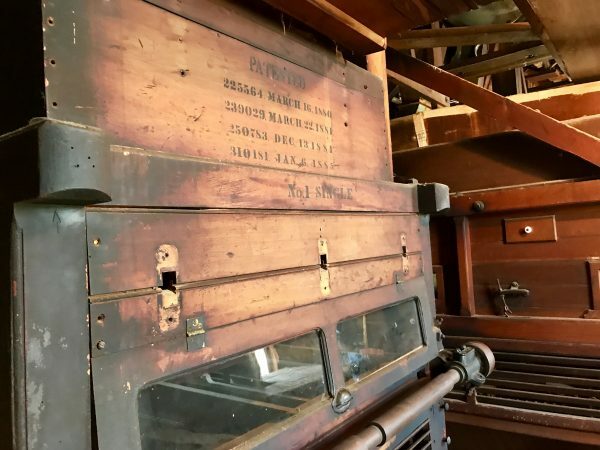 For $3 you get a guided tour and see the machinery from the 1880’s that once made this place run. It is so well preserved that you feel like the guide has only to throw a switch and the whole place will rumble to life. 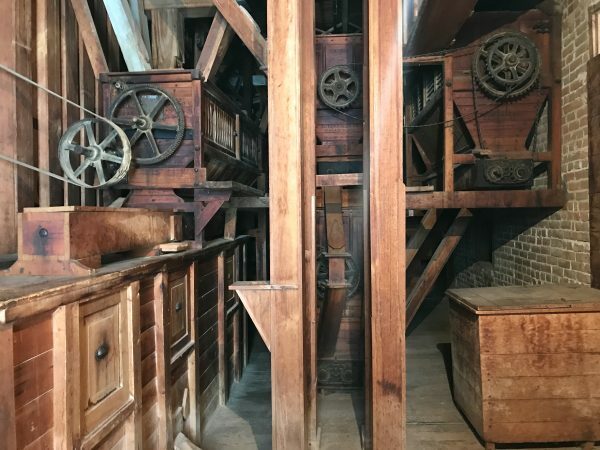 We were invited to see the entire mill from the top floor to the basement, learning all about the milling process along the way. The mill was directly driven by the Elkhorn River for a time, then converted over to run on hydroelectric power. At that point, they sold excess electricity to the residents of Neligh to power their homes. The flour produced in the mill was sold to nearby residents as well as to people far and wide. 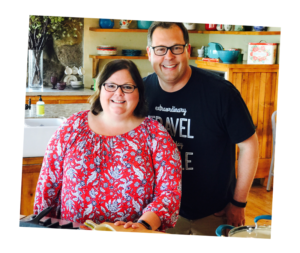 From Neligh, we drove on into Norfolk, where we enjoyed a wonderful meal at Black Cow, Fat Pig. Our steaks, salads, and ribs were well prepared, the onion rings we had for an appetizer were delicious, and the service was prompt. This seems to be a popular restaurant with locals, so call ahead. 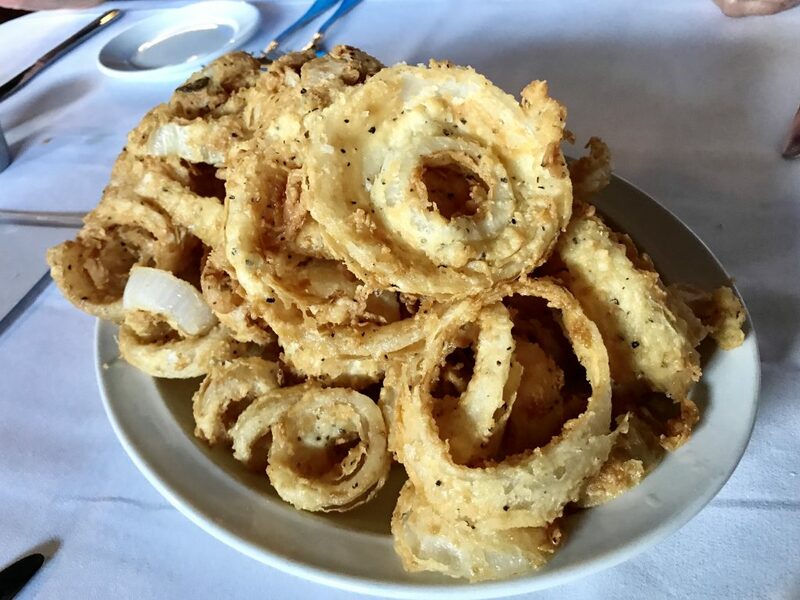 The onion rings at Black Cow Fat Pig in Norfolk, Nebraska, are as good as they look. We awoke the next morning and made our way over to the Elkhorn Valley Museum. We love this museum because it is unlike so many of the other small town museums we’ve visited. 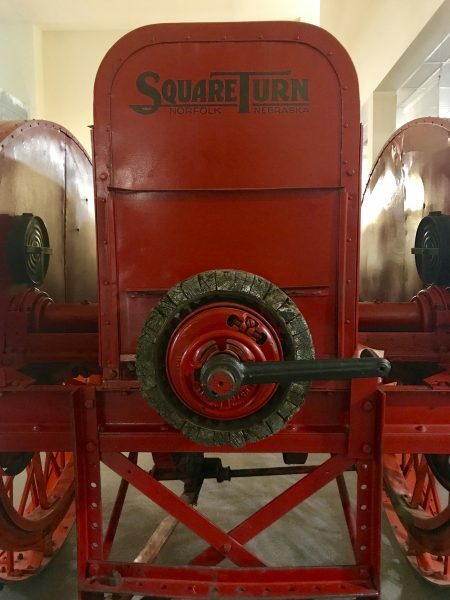 Sure, it has lots of historical artifacts like a Square Turn tractor and butter churns. 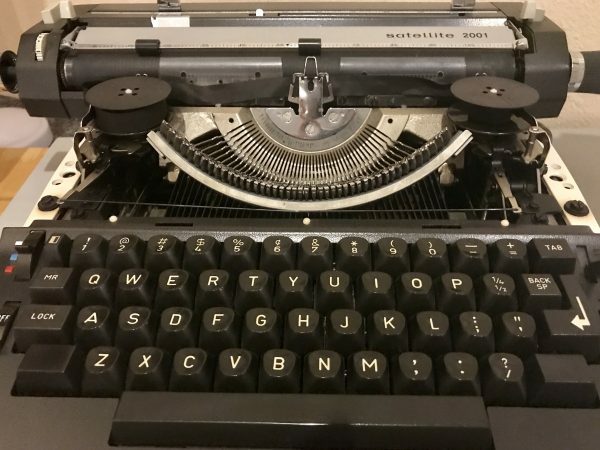 But it also has more modern “artifacts” like typewriters, VHS players, and floppy disks. Finally, there is a desire to include the people of today through projects like having the children of Norfolk write letters to the museum on how their families came to the community. The museum’s curators understand something that so many don’t: that today’s present is tomorrow’s history and it is their job to document it. The Elkhorn Valley Museum isn’t some dusty museum stuck in the past, it is a thriving museum that embraces the future. 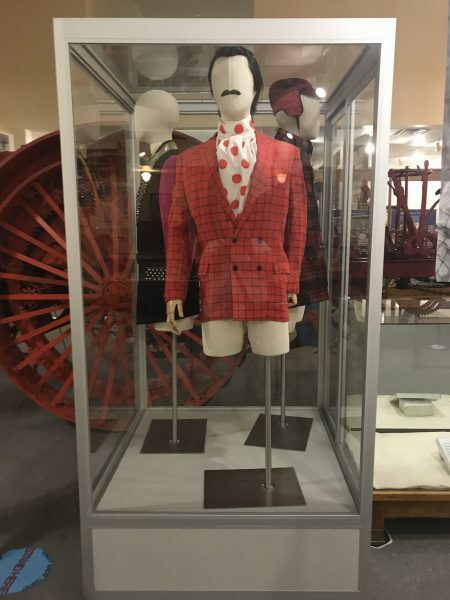 The museum also offers a wonderful display on local favorite son, Johnny Carson. 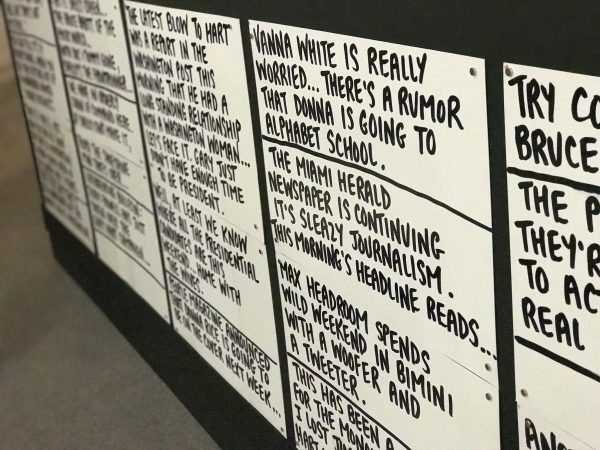 There is a mock-up of Johnny’s desk, and you can even pretend you’re on his show. At the museum you’ll also find a very comfortable couch where you can sit, don a pair of headphones, and watch clips from across the history of the “Tonight Show.” The video lasts 2 and a half hours (we’re told). No matter how much of it you watch, you’ll find yourself in stitches as you watch some of the greatest televised comedy in history. We pulled out of Norfolk, and headed toward Crete, the terrain again full of the corn and beans of eastern Nebraska. We enjoyed the final few hours in the car, reminiscing over the things we’d seen and the fun we’d had. I always feel a little sad at the end of a trip, and this was no different. We’d had a great time, and it was coming to an end, but I also knew that I’d carry this trip with me forever. I spent lots of time in Neligh as a child. My grandparents lived there as well as lots of aunts, uncles, and cousins. My mom grew up in Neligh and my dad grew up in Clearwater, just a few miles down the road. The boarding house that my great-grandmother operated is still standing! The Johnny Carson displays at the Elkhorn Valley Museum look super fun! Thanks for sharing! They are a ton of fun. It’s fun to stand there and pretend to deliver the monologue, or to sit in the chair and be “interviewed” by Johnny!